It's Halloween tomorrow! One of the things I like most about Halloween is planning my Halloween costume. Instead of popping online to grab something pre-packed (and usually over-pirced) I prefer to source as much of my costume from charity and high street shops. As long as you're not planning on chucking gallons of fake blood over yourself it means you can end up with something you might actually wear again. 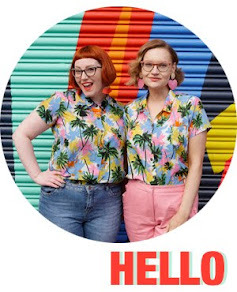 Here are 5 costume ideas using some nice high street items that I would actually want in my wardrobe. Though I probably wouldn't wear these two items of clothing together for anything other than a Halloween costume, I would definitely wear them separately. Plus I've been after a statement floral crown for a while and the colour of this one would work throughout the Autumn/ Winter season. 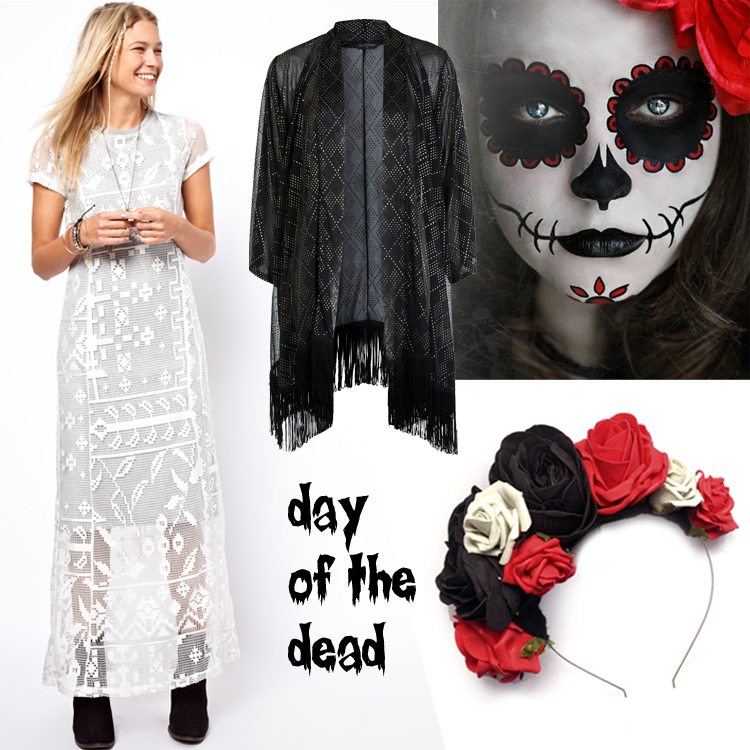 To make it all into the perfect Day of the Dead costume just add some spooky makeup using coordinating colours. The trainers, pinafore and top make a pretty casual outfit all on their own. 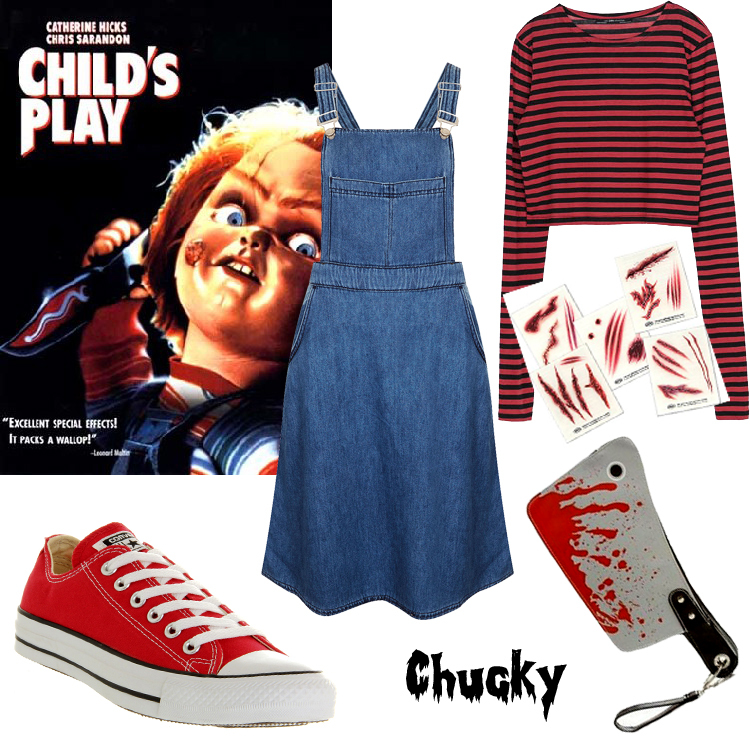 With the addition of some make up, fake scars and a novelty clutch this makes an easy Child's Play costume. If you're not already a ginger, why not add some red hair chalk to make the transformation complete. This is a pretty straight forward party outfit but the tulle skirt and flats are perfect for an evil ballerina make over. 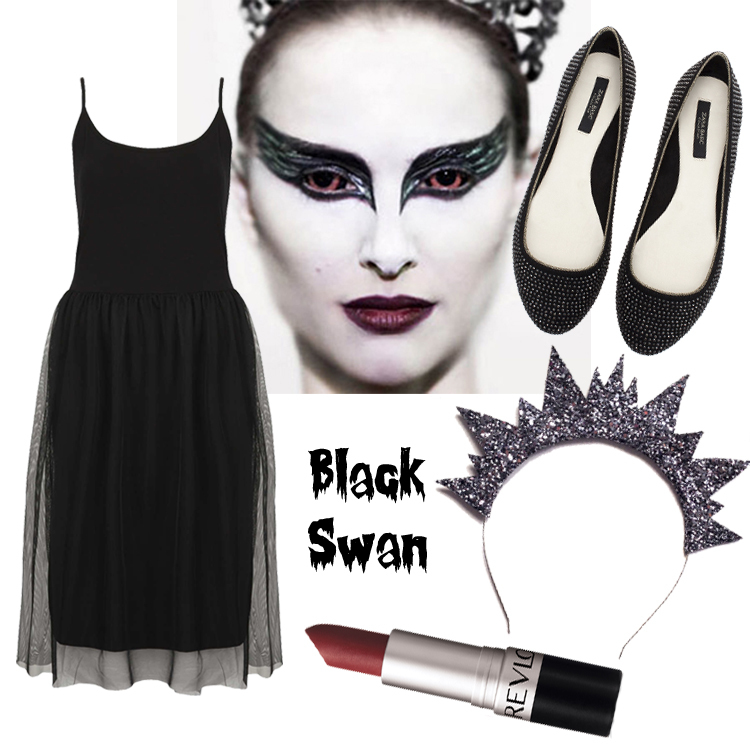 Add some killer eye make up, red contact lenses and a few feathers to give a mid transformation Natalie Portman look. If you fancy going more colorful for all hallows eve then this Medusa outfit may be up your street. Lively colours and plenty of snake skin pattern makes this a pretty killer outfit on its own. Add a stricking and unusual lipcolour and get creative with your eye make up and your almost there. The finishing touch is to wind some toy snakes into your do and then you're done! This has to be one of the easiest costumes to put together. If you don't already own a black dress with white collar you can always add a detachable one or stick a shirt underneath. I do love these geek shoes so using Halloween as an excuse to buy them would work out pretty well for me. 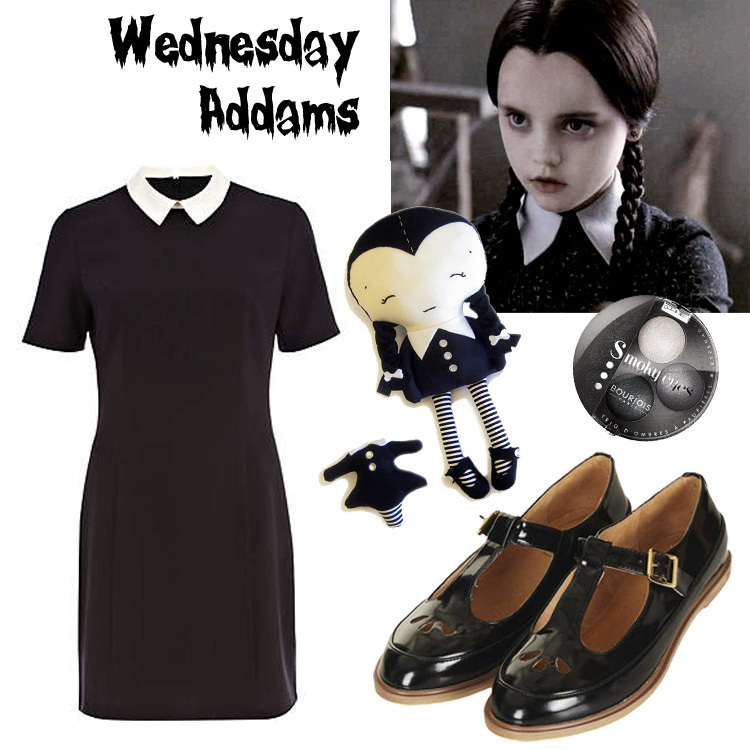 The Doll sewing pattern adds a bit of handmade back into your costume while the smoky eye and braids are both really simple ways to give that Addams family look. Trick or Treat? Definitely Treat. I love Halloween! Being a big horror movie fan I do enjoy any excuse to get dolled up in some spooky attire. I especially love that both the high street and independent brands are getting well into the swing of it by providing lots of creepy treats for us. Just check out this terrifying bunch.